I've cracked thousands of eggs in my life, yet I still usually mess up when I make my morning eggs. Sometimes I crack the egg to hard and end up leaving half of the white on the counter. Other times I don't crack the egg hard enough, and end up spending 20 seconds digging with my fingers until I can pry apart the shell. Sometimes I puncture the yolk on the shell, and other times the entire thing slips out of my hands. For something so simple, eggs sure can be difficult. And don't get me started on the shell—there's nothing worse than shell in your egg. It always seems to happen at the least opportune time. You're frying an egg in hot butter, the white is about to set, and you realize a chunk of shell is at the bottom. You're rushing through a cake recipe, you crack an egg, and the next thing you know, you've left behind part of its shell. Of course, you don't need me to tell you that attempting to remove a rogue piece of eggshell is one of life's most frustrating occurrences. It's right up there with people who drive half the speed limit and outlets behind bookshelves. I've heard a lot of people say that the easiest way to remove an eggshell fragment is with... well... a piece of eggshell. Yet I've heard many other people dismiss this as a myth, and claim that wet fingers or spoons are better options. So I did a test. I recruited my girlfriend, and had her remove a small piece of eggshell from an egg 15 times: five teams each with her fingers, with a spoon, and with an eggshell. And I timed her. Then I had her time me while I tried to fish out the shell fragment. The slowest way, by far, was the finger method. If it feels frustrating to try and fish out a bit of eggshell with your own pincers, that's because it's remarkably hard, and remarkably slow. Using a spoon to catch the eggshell shard was notably quicker than using your fingers. Then again, using a spoon means going into a drawer and getting out a spoon, which negates some of the speed involved. Still, it's a quicker, and therefore less frustrating, process. Ding ding ding. We have a winner! 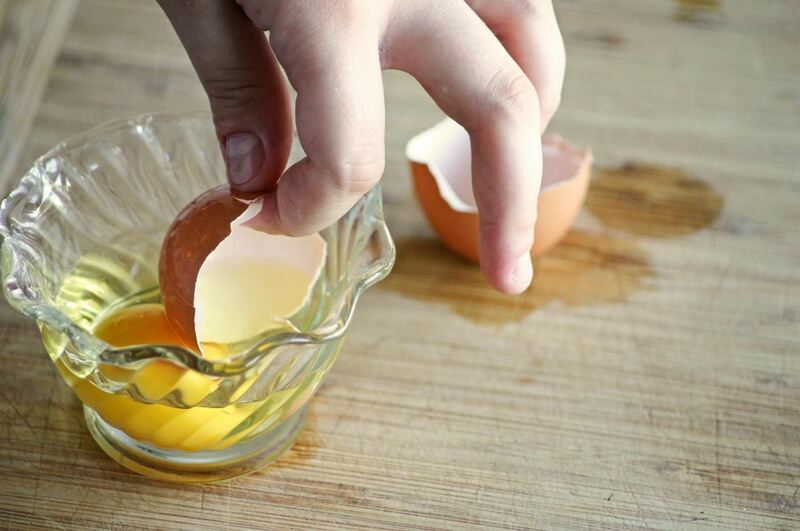 Using an eggshell proved to be the quickest way to remove a smaller piece of eggshell. Apparently this is because the sharp edge of the eggshell is able to cut through the whites. It's worth noting, however, that we conducted our experiment on an egg in a bowl; using your fingers gets easier when the egg is in a pan, and thus is shallower. For those wanting to know the exact results, it took us an average of 12.5 seconds to remove the shell with our fingers, 5.7 seconds with a spoon, and 3.8 seconds with an eggshell. Yet, when I invariably get a piece of eggshell lost in my egg, I still reach in with my fingers. Old habits die hard. Shells fragments aren't the only thing frustrating about eggs. 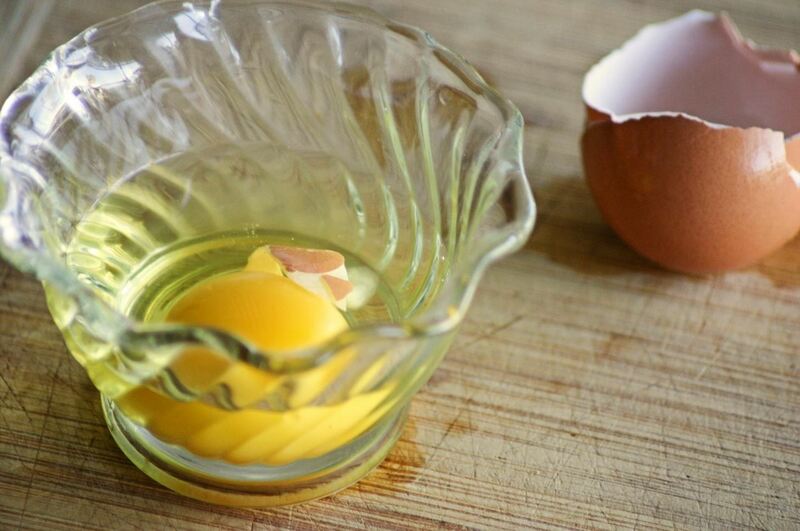 Think peeling hard-boiled eggs. Luckily, there are plenty of ways to get the job done, including cooking your eggs right, rolling hard-boiled eggs on the countertop, and our favorite, using a glass of water to get the shell off. What about if you just need the yolk or the white part of an egg? 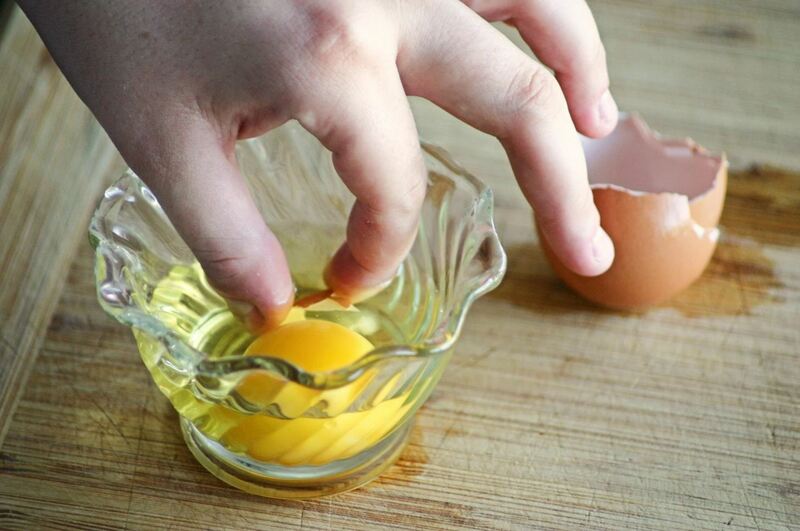 Extract the yolk using an empty water bottle or even the bulb of a turkey baster. Need more egg advice? 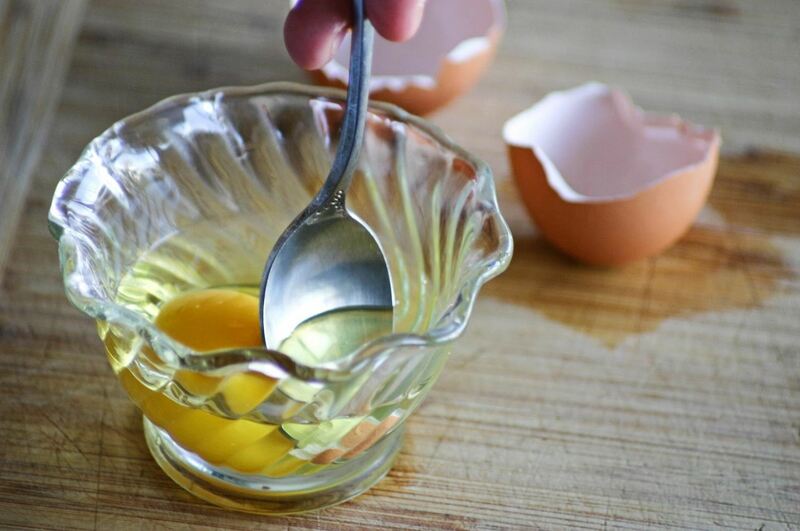 See our guides on making perfect poached eggs (there are many methods), scrambling eggs inside the shell (aka golden eggs), and baking cake inside eggshells (because why not? ).